The time, expenditure, and travel required for consulting physicians and the physician availability has made patient engagement a major challenge for the healthcare industry. Here, telemedicine serves as the core technology providing a unified health solution ensuring patients with ‘anywhere & anytime’ access to care and enriches the meaning of patient engagement. With an aim to create a more participatory patient-centric healthcare ecosystem, telemedicine increases patient satisfaction and accountability while reducing unnecessary costs to providers, payers, and patients. Telemedicine also enhances caregivers’ access to resources and support to perform complex medical/nursing tasks. Healthcare organizations, software companies, and academics are exploring and investing profusely in innovating telemedicine for improving healthcare delivery, experience, and outcomes. Telemedicine solutions are being equipped with APIs for seamless integration with other healthcare systems such as EHR/EMR, enhancing care delivery. Also, the solutions are integrating with wearables for real-time monitoring of blood glucose count, blood pressure, heart rate, sleep, and nutrition data, all outside the conventional clinical setting. Today, telemedicine has applications in a wide range of medical areas, chronic care, post-surgical follow-ups, emergency care, late night care, geriatric care, prescription refills, checking insurance eligibility, and more. 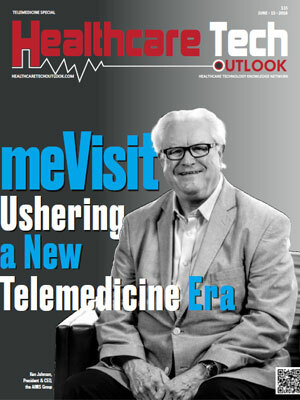 A distinguished selection panel comprising CEOs, CIOs, VCs, and the Healthcare Tech Outlook ’s editorial board has selected a list of expert telemedicine solution providers that offer better access to healthcare specialists, cost -effectively. Also, the solution providers help bring about the required changes across organizational policies, processes, technology, and stakeholder attitudes to utilize telemedicine solutions fully.